Ive recently been using a couple of lovely products by the Bodyshop and thought I would do a quick review/share. First off Ive been trying their new Body Mists which come in a rather lovely glass bottle and look far more expensive than they actually are. Ive got Moringa which is a white floral fragrance and as the name suggests contains moringa extract and the Satsuma one which smells, well kind of like satsumas! These are £7 for 100ml so quite a big bottle. 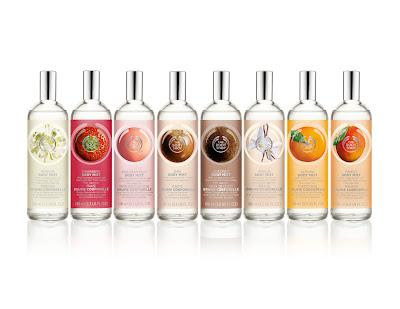 I think these body mists are fab for this slightly bonkers muggy sweaty summer. They are really cooling and actually quite light so you can use them throughout the day to cool down and fragrance yourself. Ive also been using them as room sprays which I realise isn't what they are designed for but they just smell so delicious. I keep the Satsuma one on my desk and find a little spritz when I hit my afternoon slump helps perk me up. The second product Ive been using is the beautifying oil. Ive got a mango one and a coconut one, these are £9 for 100ml and have worked wonders on helping make my skin all soft after its yearly bake on holiday-even my rhino like elbows have benefited. I usually find oils too greasy and they can sometimes make me break out but these are the new fangled "dry oils" which soak in really quickly and leave very little residue and just really yummy soft skin. Yes I really am posing whilst holding bottles of body spray. Why? because Im a bit "special"
Ive been using this after every shower and even on my face and absolutely love them. A small amount goes a really long way so I think this will last for ages. 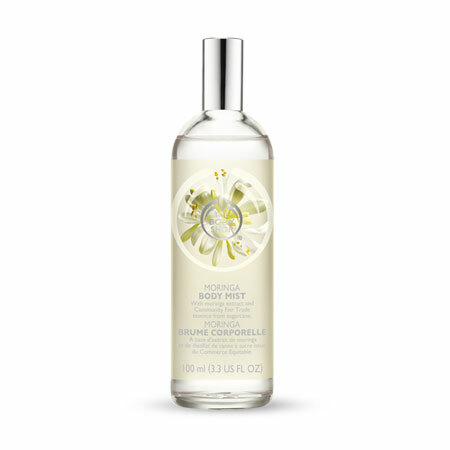 As you would expect with the Bodyshop the fragrances are delicious, really fruity and of course cruelty free so yet again top of the class for Bodyshop. I love you and my skin loves you too!